Female Thor's New Identity Revealed In Marvel's 'Thor #8' | Nerd Much? Warning: This article contains spoilers for Thor #8, which hits tomorrow. You’ve probably heard by now that Marvel’s new Thor is, for the first time ever, a woman. This major news came to the shock of the Marvel comic book lovers out there — and was met with both praise and criticism for the idea. We here at Nerd Much certainly praise the idea of giving more female heroines Marvel’s comic book cover space. 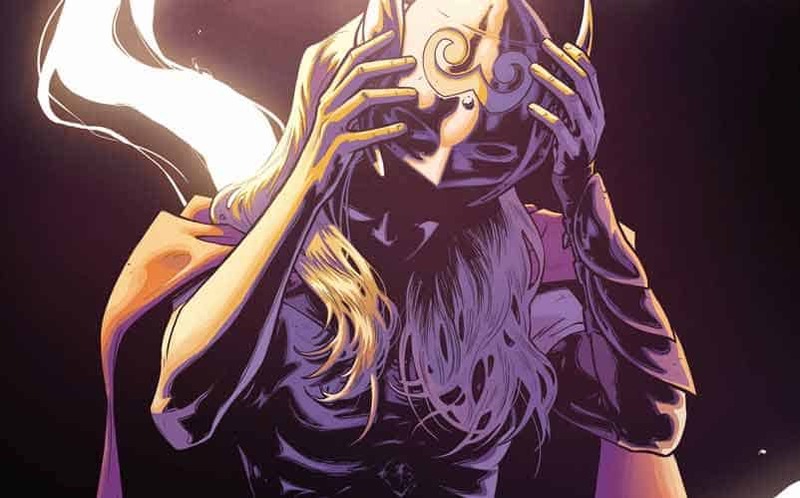 With that being said, though, tomorrow’s Thor #8 will reveal the identity of this new female Thor. If you don’t want to have it spoiled, please exit stage left. Otherwise, scroll down to keep reading to learn who the new Thor is. According to the Arts Beat at the New York Times, the new Thor is Jane Foster, the former girlfriend of the former Thor (now named The Odinson). What’s more is that Jane is actually dying from terminal breast cancer, but that doesn’t stop her from wielding Mjolnir and being the new Thor. 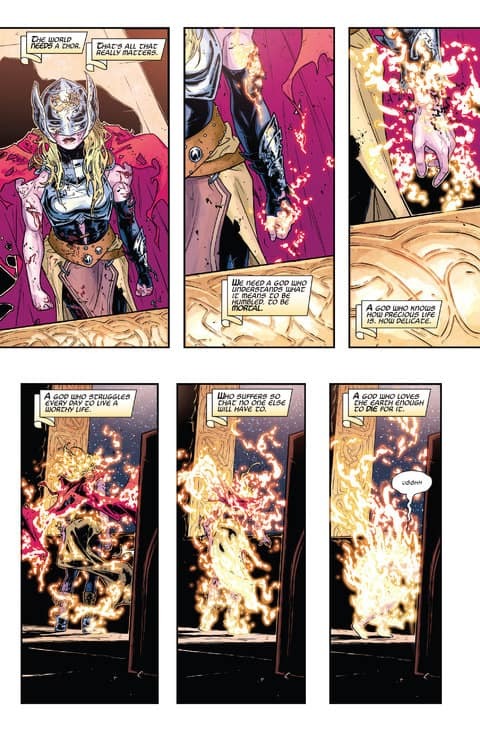 The question is where will Marvel take the Thor comic book from here, given that Jane’s death is seemingly inevitable. This new female Thor has certainly given Thor a new potential audience, which according to writer Jason Aaron is mostly women and young girls. However, only time will tell how long Jane as Thor will last.